Extension of the "Australian East Coast Temperate and Subtropical Rainforest Park". Renomination of "Uluru-Kata Tjuta National Park" under cultural criteria. Extension of "Jaú National Park". Extension of the "Glacier Bay/Wrangell/St Elias/Kluane" property. The "Burgess Shale" property, which was previously inscribed on the World Heritage List, is part of the "Canadian Rocky Mountain Parks". Extension of "The Potala Palace and the Jokhang Temple Monastery, Lhasa" to include the Norbulingka area. The "Chateau and Estate of Chambord", which was previously inscribed on the World Heritage List, is part of the "Loire Valley between Sully-sur-Loire and Chalonnes". The “Hadrian’s Wall” which was previously inscribed on the World Heritage List, is part of the transnational property “Frontiers of the Roman Empire”. At the time the property was extended, cultural criterion (iv) was also found applicable. The "Brihadisvara Temple, Tanjavur", which was previously inscribed on the World Heritage List, is part of the "Great Living Chola Temples". At the time the property was extended, criteria (iii) and (v) were also found applicable. The Westland and Mount Cook National Park and the Fiordland National Park, which were previously inscribed on the World Heritage List, are part of the "Te Wahipounamu - South West New Zealand". In 1979, the Committee decided to inscribe the Ohrid Lake on the World Heritage List under natural criteria (iii). In 1980, this property was extended to include the cultural and historical area, and cultural criteria (i)(iii)(iv) were added. The "Convent Ensemble of San Francisco de Lima", which was previously inscribed on the World Heritage List, is part of the "Historic Centre of Lima". Extension of "Biertan and its Fortified Church". At the time the property was extended, natural criterion (iv) was also found applicable. Extension of the "Alhambra and the Generalife, Granada", to include the Albayzin quarter. Extension of the "Mosque of Cordoba". The property “Parque Güell, Palacio Güell and Casa Mila in Barcelona”, previously inscribed on the World Heritage List, is part of the “Works of Antoni Gaudí”. Extension of the "Churches of the Kingdom of the Asturias", to include monuments in the city of Oviedo. Extension of the "Mudejar Architecture of Teruel". Following a survey of ownership carried out in the late 1960s, ownership of the totality of the walls was vested in 1973 in the Spanish State, through the Ministry of Education and Science. It was transferred to the Xunta de Galicia by Royal Decree in 1994. The Spanish Constitution reserves certain rights in relation to the heritage to the central government. However, these are delegated to the competent agencies in the Autonomous Communities, in this case the Xunta de Galicia. For the Lugo walls the Xunta is in the position of both owner and competent agency. Under the Galician Heritage Law the Xunta is required to cooperate with the municipal authorities in ensuring the protection and conservation of listed monuments, and certain functions are delegated down to them. The Xunta operates through its General Directorate of Cultural Heritage (Dirección General de Patrimonio Cultural), based in Santiago de Compostela. The Master Plan for the Conservation and Restoration of the Roman Walls of Lugo (1992) covered proposals for actions to be taken in respect of research and techniques of restoration. This was followed in 1997 by the Special Plan for the Protection and Internal Reform of the Fortified Enceinte of the Town of Lugo, which is concerned principally with the urban environment of the historic town. However, it has a direct impact on the protection afforded to the walls, in terms of traffic planning, the creation of open spaces, and regulation of building heights. Another planning instrument which affects the walls is the Special Plan for the Protection of the Miño [river], approved by the municipality at the beginning of 1998. There is at the present time no management plan sensu stricto for the walls in operation in Lugo: work is continuing on the basis of the 1992 plan. Nor is there a technical unit specifically responsible for the conservation and restoration of the walls. 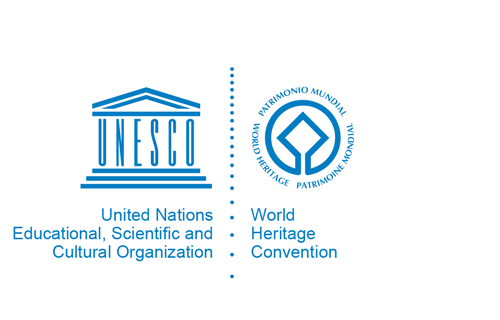 It is against this background that serious consideration is being given to the creation of an independent foundation, under royal patronage and with representatives from government, academic, voluntary, and business institutions, to work with the General Directorate of Cultural Heritage of Galicia. The work plan of this body would include the development and implementation of integrated conservation, restoration, and maintenance programmes. The WH area is managed directly by the Divisional Forest Officer from the Forest Dept. A national steering Committee co-ordinates institutions for Sinharaja as a National Wilderness Area, Biosphere Reserve (1988), and WH site. There are two management plans, prepared in 1985/86 and 1992/94, which emphasise conservation, scientific research, buffer zone management, benefit-sharing, and community participation. Extension of "Gough Island Wildlife Reserve". A large format full-colour map is available in English, French and Spanish. The dimensions of the map are 78cm by 50cm (31 in. by 20 in. ).